Just a little rant today. I am a big fan of Paizo Publications. I have been a fan of theirs since the days when they published Dragon and Dungeon magazines. I have been a fan of Erik Mona's even longer, dating back to the days of the Oerth Journal and the AOL Greyhawk sub-culture. Until recently, I cannot recall anything that they have done that I would be hyper critical of with regard to their corporate practices/behavior. I would have liked for them to moderate the anti-WotC venom on their boards a little more, but I didn't/don't view this as a business failing. Since they first announced the creation of the Pathfinder series of products, beginning with the monthly Pathfinder publication and other D&D products, I have been what is termed a "superscriber." In fact, I am a "charter superscriber." This means that I have been, and will continue, to be a consumer who subscribes to all of their Pathfinder products. With one small exception. I don't want to subscribe to the new Pathfinder RPG "rules subscription." At least not yet. My love of the Pathfinder product line has been its backward compatibility with Dungeons and Dragons 3.5. I'm still running my gaming group through the first Pathfinder series of adventures -- and the Falcon's Hollow series of modules. While I think their public beta-testing of products is admirable. Heck, it's AWESOME! I'm playing their modules because I own thousands of dollars of 3.5 books and not to commit to playing their new update of the 3.5 rules -- which is an excellent product, I just want to buy it at my own pace and not commit to a subscription. That said. I recently purchased the existing hardbound books for the Pathfinder rpg. I know that flies in the face of what I said earlier, but I'm just not ready to subscribe. I still believe in the products and want to read them. When I ordered them I knew that I would have to wait a few days, possibly more than a week, before the products came to my house. In fact, it took exactly one week. With every other printed Paizo product I purchase, I immediately get PDF access. I expected the same with the online purchase of the Core Book, the Bestiary, and the DM Screen. 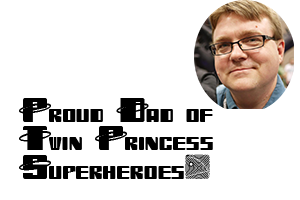 This is especially true given that Paizo took advantage, as they should have, when WotC pulled the pdfs from the market. They bragged about how they were pdf advocates. Sadly, there were no pdfs of the products for me to download. There was a wonderful 15% off that I received for being a superscriber, but no pdfs. Of the 140 Paizo products I have available for download, not one of them is these books. I was shocked. Since 2003, I have ordered $3424.29 worth of merchandise from Paizo -- combining magazine subscriptions, Pathfinder subscriptions, and pdf orders (of WotC stuff that I can no longer download if I lose my digital copy). Think about it for a second. If Paizo has only 1,000 customers like me, they will have received $3,424,290.00 in gross revenue over the past 7 years -- minus the amount of our orders that are sales tax. They likely have more than that. Here is the company who stresses the value of pdfs and customer relations, not giving me a download of my recently purchased physical copy. My subscription to the other titles had led me to believe that pdf versions of print products was standard Paizo practice. 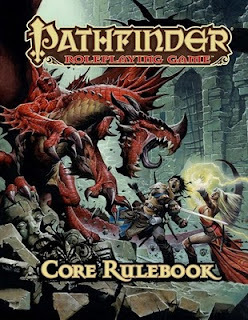 The Corebook, Bestiary and GM Screen are part of the Pathfinder RPG subscription. In order to qualify for the free PDF, the items need to be received as part of the subscription at the time we release the item. As a Pathfinder Adventure Path Subscriber, you did receive a discount of 15% on the items in this order. Wow. Really? Given that the pdf is a very reasonably priced $9.99, and the book I purchased has an srp (that I got a 15% discount from) of $39.99 -- which is a bargain given the massiveness of the tome. I don't think it would be too much to give a superscriber the pdf free. I guess I could become a Pathfinder rulebook subscriber -- they get the pdf for free, but they also pay full cover price for the book. Does my 15% count on my rule book subscription? If so, I might just subscribe. If not, this doesn't seem like a great deal. I'm not sure that pdfs for subscribers only is the best business policy when it comes to reducing piracy, but that's just me. Paizo isn't releasing a tidal wave of rulebooks. They are paced out nicely, and are excellent products. Maybe I'll subscribe anyway, but I cannot help but feel slighted. "Does my 15% count on my rule book subscription? If so, I might just subscribe. If not, this doesn't seem like a great deal. " "I'm not sure that pdfs for subscribers only is the best business policy when it comes to reducing piracy, but that's just me." I'm not Paizo, but I think it has almost nothing to do with piracy but everything to do with encouraging people to subscribe (and therefore be a more reliable/predictable source of income) than to buy products individually. Plus, I believe the "PDFs for subscribers only" has been the policy all along. Guess being a charter superscriber, it might not have been apparent. I would be absolutely astonished if they had anything like 1,000 charter supersubscribers like you.